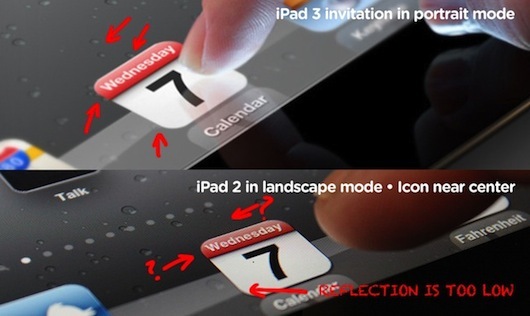 Today, Apple sent out invitations for the expected iPad 3 announcement. Apple invitations are famous for including coy references to what an event might encompass. Today’s invitation is no different, as offered by The Verge. We have something you really have to see. And touch. That seems innocuous enough. They want to show us an iPad. 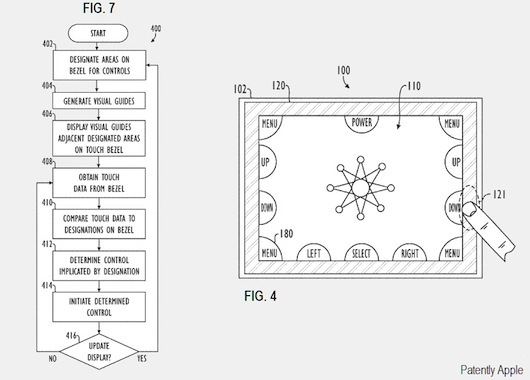 Since an iPad contains a touchscreen, it would be something for us to touch. Right? Is there more there? Does the invitation contain any clues? Let’s investigate. Firstly, there are specific apps shown on the dock: Maps, Calendar - showing the 7th, and Keynote. This is on purpose. My guess is that the simple implied message is that in a certain location, on March 7th, Apple will hold a keynote address about the iPad. Well, duh! It isn’t anything groundbreaking, but Apple always tries to make their invitations visually speak for themselves. Next, consider the first sentence, We have something you really have to see. Given the rumors that iPad 3 will contain a retina display, the reference seems pretty evident. In fact, the screen on the invitation’s iPad looks pretty nice. Gizmodo offers a comparison of the screen shown on the invite with that on the iPad 2. It is immediately evident that the new screen has a higher resolution. 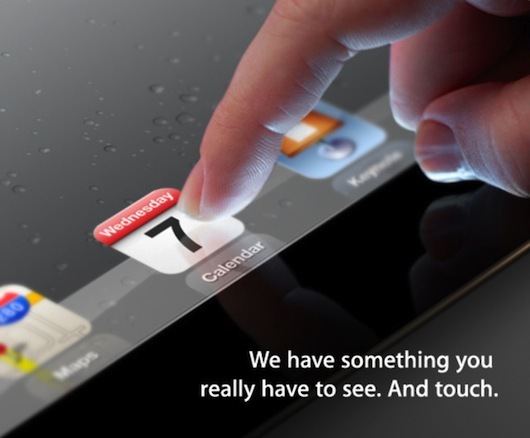 This appears to be a nod from Apple that the iPad 3 will indeed contain a retina display. If you look at the bezel of the new iPad on the invitation, you will notice that there is no home button or camera present.1 Most reason that the iPad is simply in landscape mode. Gizmodo goes on to demonstrate that the icons - in relation to the background image - preclude that scenario. It is possible that Apple removed the home button on the image for aesthetic reasons. However, they did not do so on previous iPads. Why start now? Is breaking down an Apple invitation overkill? Yes, especially when the device will be unveiled in one week. However, given Apple’s historic tendency to include hints, the process is fun. 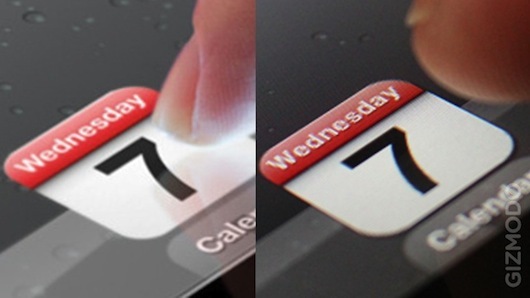 My wishful prediction: Apple will release an iPad 3 with a retina screen and a smart bezel. The safer bet: Apple unveils an iPad 3 with a retina display in the same body. In either case, all will be revealed on March 7.